Silicon Valley Leaders Tout Canada as New Technology Talent Hub - Canada Immigration and Visa Information. Canadian Immigration Services and Free Online Evaluation. May 16, 2017 – Silicon Valley will remain ‘king’ of the global technology talent scene, but Canada will get a significantly larger share of the industry. That is the opinion of one technology expert, who believes Donald Trump’s USA immigration policies are unsettling those already in the US, and influencing high-skilled workers looking to move. Russell Smith, chief technology officer of San Francisco app-testing platform Rainforest, feels the value of the US green card is diminishing. As an immigrant himself – he moved to the US from Britain to set up the company – he feels Silicon Valley companies will increasingly look to station people outside the country. As companies look elsewhere to station their staff, Canada is sitting pretty with a more open attitude to immigration and an immigration system to back it up. With the new Global Talent Stream of the Temporary Foreign Worker Program to open in June, visas for certain high-skilled workers will be processed in two weeks. 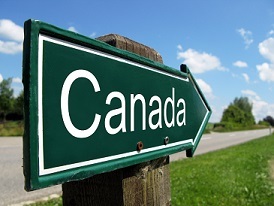 The Canada immigration flexibility the stream could offer technology companies is unprecedented. Meanwhile, Trump is taking the US in the opposite direction. First, he tried to ban immigration from Muslim-majority countries with an executive order currently held up in the US courts. Then he announced plans to restrict the H-1B visa, claiming it was taking jobs away from Americans. Regardless of the real impact of Trump’s policies, he is sending a clear message to immigrants: You are not welcome in the US. Reddit co-founder Alexis Ohanian says the moves by Trump, whether effective or not, ‘send a very strong signal’. “They send a signal of uncertainty to people in this country who are starting companies here, who are worried about whether or not this is the place they want to put down roots, and that’s incredibly unsettling, because these are the job creators,” he told the Globe and Mail. And Ohanian is acutely aware which country is best positioned to benefit: Canada. The transition may already be happening. Technology companies are reporting increased interest from foreign talent, both from within the US and other countries. Hard data from Canadian universities shows dramatically increased international student admissions from candidates in both the US and other countries for the 2017-2018 academic year. According to some, Canadian Prime Minister Justin Trudeau has cleverly positioned himself as the anti-Trump, without explicitly saying so. While the two may be on a collision course when it comes to the North American Free Trade Agreement (NAFTA), they have so-far managed to get along without any public conflict. As the face of Canada, Trudeau projects a welcoming and accepting image to potential new immigrants. Trump, as the face of the US, projects exactly the opposite.